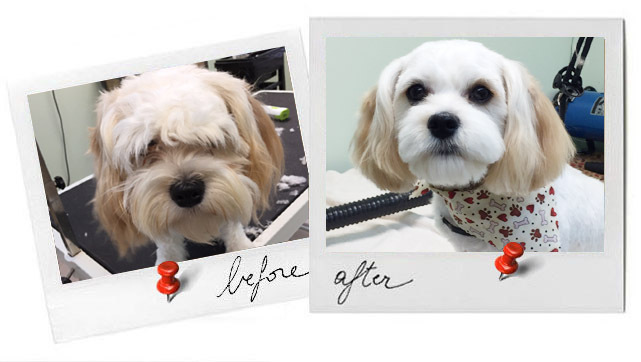 Pet Star Dog Grooming Salon | Rochester Dog Grooming, Dog Grooming in Rochester, Best Dog Grooming, Pet Star Rochester Dog Grooming! Rochester Dog Grooming, Dog Grooming in Rochester, Best Dog Grooming, Pet Star Rochester Dog Grooming! 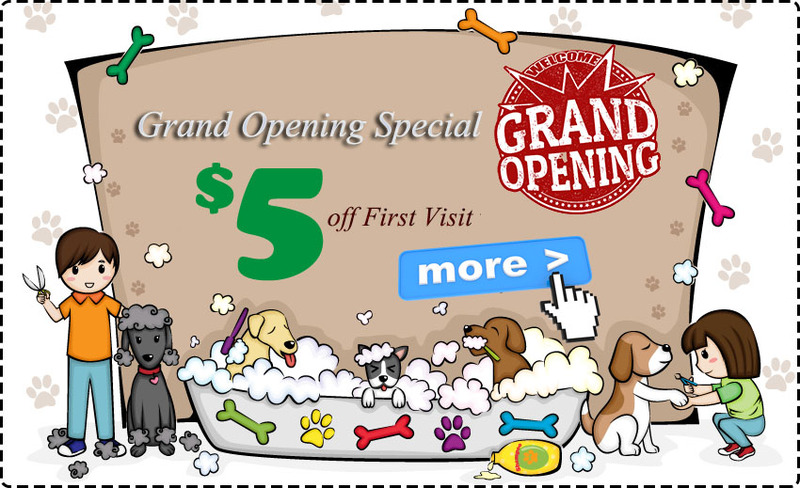 special price, $5off first you a $5.00 COUPON to use on your first visit as a Welcome & Thank You. Took my parents’ elderly golden retriever here for a grooming while I was in town and our experience was nothing less than stellar. Our dog came out in beautiful shape. The lady who runs the shop was very kind, patient, and did an excellent job grooming our dog and trimming the hair on her paws. She obviously cares a great deal about dogs. The place is super clean and the prices are affordable. We will likely be a recurring client! We recently relocated from DC to Rochester and I was probably more nervous about finding a new salon for my pup than I was for myself! We have been so happy with Pet Star! Our miniature labradoodle enjoys his visits and looks so handsome after each cut! I can always schedule appointments at convenient times and Pet Star does a great job with keeping track of our preferences from previous visits. Highly recommend for your curly-haired pups! I called and was able to make a same day appointment (I was lucky) for later in the afternoon. Walking in, the salon is extremely clean and fresh. I was greeted by Emily the owner/stylist, filled out a short information card as this was our first visit and that was it. This was my Crickette’s second full grooming and was in need of everything except a haircut as she is still a puppy (3 mo. old). Emily said that it would take about an hour; she called my cell within 50 minutes! Crickette looked and smelled beautiful … Emily has a wonderfully calm and peaceful disposition and runs a very professional establishment … A+ / Top Dog !! I have already booked my next appointment as it’s best to book in advance … Emily will try to work with any schedule which is a plus for a busy single dad! Tue. - Sat. 8 a.m. - 6 p.m. I have taken my Foxy to 2 other groomers, 1 of which was in Long Island when we lived there. Pet Star Grooming is by far the best. They were so sweet and gentle with Foxy. The place was clean. The owners were friendly and professional. Foxy is a paperanian and needs to be groomed in a specific way. They did a beautiful job. Absolutely perfect!! And she smells sooo good. The price is reasonable too. I recommend them to any dog owner. This is my new grooming place for Foxy. Thank you Pet Star!! This place was wonderful. I've been looking for a good place to bring my Pomeranian and I finally found a keeper. When you arrive, they have soft and calming music playing which made my dog feel so at ease. The staff was super friendly and helpful in making sure they completed everything I wanted for her. It really felt like everyone here was sincerely interested in my dog and how they we're treating her. I didn't feel nervous leaving her here at all. When I returned, they brought her out quickly and she looked like an angel (even more so than usual)! She looked so fluffy and cute and happy. I can tell she really enjoyed herself. She was happy to see me but it didn't seem like it was because she was scared. The staff did an amazing job helping her look her best. She came home exhausted took a nice little pupnap. Will be coming back to get her groomed again soon! excellent grooming, our dog comes home looking great each time. © 2019 Pet Star Dog Grooming Salon. All Rights Reserved.